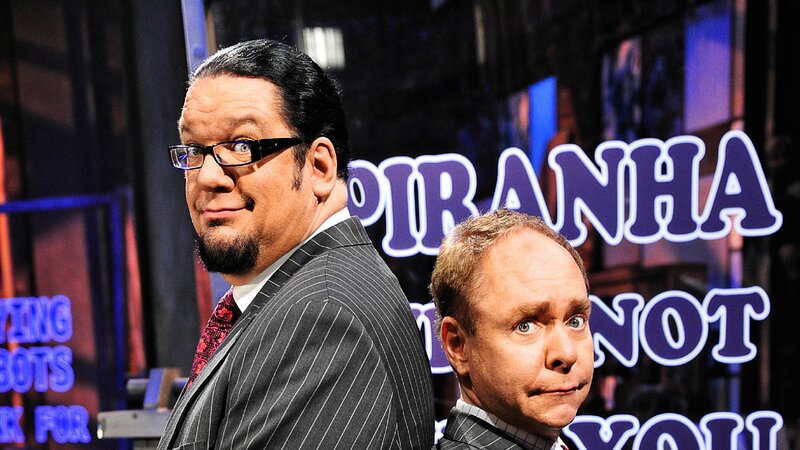 In each episode of "Penn & Teller Tell a Lie," the comedy-magic duo makes several outrageous claims, such as a butter knife can stop a speeding bullet, that are supported by scientific evidence -- most of which are true. But one of the claims is a lie. Stories include, a head of hair can lift a car filled with people ten feet in the air and if you can land a plane with it's doors. Stories include, a torch fueled by bacon can cut through solid steel and wrestlers can be defeated by a large cheese. Stories include, road kill can be healthy eating, four hundred eggs can hold up a ton of cheerleaders and Piranhas will not kill you. Claims include that a butter knife can stop a bullet and that man can fly using bleach for fuel. Claims involving cotton candy, machine guns and carnival games are featured. One story out of six is false. Seven far-fetched claims are made, and one is false. Stories involving a snail, a superhighway, a linen shirt and an airplane are featured.